Original Cleaners Hammersmith offers private and business customers a wide range of versatile, high quality cleaning services suitable for different purposes and occasions. Our comprehensive selection of professional grade cleaning solutions for residential and commercial properties will give customers the necessary coverage and cost efficiency, regardless of how basic or elaborate their cleaning requirements. The cleaning options we provide are great value for money and always deliver the required results. We know there is no room for guesswork in professional property cleaning thus we have made sure that our customers are getting the best cleaning service at the best price. This is made possible by working with specially trained cleaners who have the necessary practical skills and technical expertise to do their job properly and yield industry standard cleaning results all round. Working with qualified professionals also means no margin for error and reduced cleaning time. The cleaning teams we work with are using professional grade, industry certified cleaning systems and products as our customers need consistent, high quality cleaning results. Our Hammersmith cleaners are also skilled in the most efficient work practices, and trained to work with minimum resource and material waste – this helps us keep service prices within reasonable limits, and lessens the environmental toll of our work. With Original Cleaners Hammersmith you get the best property cleaning solutions available right now. We specialise in a large number of general and specific cleaning treatments covering the entire place from top to bottom or customer specified areas only. We provide our rental customers with high quality end of tenancy cleaning service with guaranteed results. Our service expertise and exceptional quality cleaning results will put customers a step closer to receiving their rental deposit back in full, without any unnecessary hassles or excess cost. The end of tenancy cleaning service in Hammersmith we offer is fully comprehensive and focuses on heavy duty and high traffic areas of the rental property. Our top to bottom property cleaning treatments continue with highly recommended services like spring cleaning and deep cleaning for the entire premises. Both of these are genuine value for money as customers get a lot of cleaning done, for a relatively small amount of money. We can focus our cleaning effort on customer specified areas in order to deliver top grade cleaning results where it matters most. The spring and deep cleaning services we cleaners Hammersmith offer are a great way to freshen up the place after the drowsy winter months, or get your home up to scratch after long periods of disuse or cleaning neglect. We also deal with more specific cleaning services like oven cleaning and upholstery cleaning – both of which are quite tricky and demanding cleaning chores. 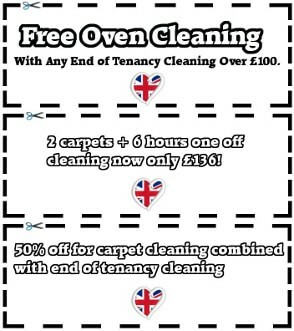 Our specialised oven cleaning service will save customers lots of money, time and effort in doing all the scrubbing and rubbing on their own. Customers can expect exceptional quality cleaning results on all types of ovens. The professional upholstery cleaning service we provide is the most effective yet sparing way to clean such delicate fabrics properly without exposing them to risk of mechanical or chemical damage. The upholstery cleaning in Hammersmith takes place onsite, in the comfort of your own home which makes the service quick, easy and convenient. Other great value for money cleaning solutions we have in store are one off cleaning for domestic properties and specialised office cleaning in Hammersmith. The one off service is a great way to bring lasting hygiene and excellent cleaning results whenever and however you require. The one off is fully customisable service option designed to cover a wide range of cleaning requirements. Our specialised office cleaning can requested as one off, or on a fixed schedule basis. Last but not least, we provide quick and safe window cleaning service. We have mastered this somewhat tricky cleaning chore and know how to yield professional standard cleaning results on all windows, without risk personal injury or property damage. With Original Cleaners Hammersmith, professional cleaning solutions have never been more efficient or affordable.